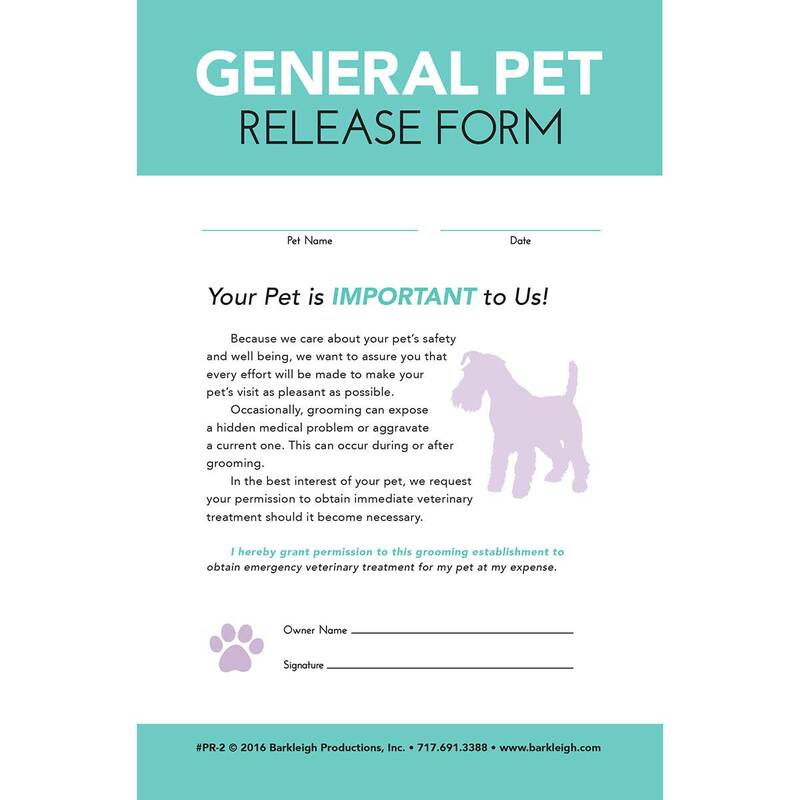 These newly redesigned release forms are designed for use by groomers that prefer to convey the same message, with a modern look. The forms explain, in a gentle way, the pet owner’s responsibility to the groomer and give you the right to obtain emergency treatment for their pet. One popular television judge even sided with the groomer because she had her client sign a Pet Release Form. The pet owner lost the lawsuit. 50 forms per pad.